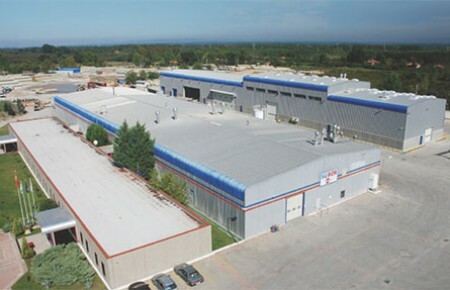 Sakarya-Karapürçek facilities made their first production on April 12, 1997 on a single line and commissioned the second line in December 1998 to increase the existing capacity by 100%. It commissioned the third production line in 2009 and carries out production via the continuous Glass Fiber Winding Technique in the diameter range of 300-4000 mm, with the rigidity classes of 2500-5000-10000 N/m², and up to 32-atm pressure. Subor Sakarya Factory is a partnership of ‘Yapı Merkezi’ with 50% and ‘Amiantit Group’ with 50%, formed with domestic and foreign capital. Besides standard factory production, we possess the infrastructure to manufacture pipes for special applications as requested by the in the customer. 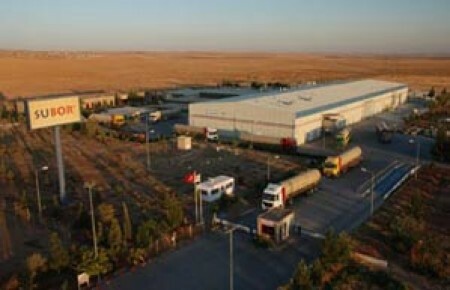 Şanlıurfa Suruç facilities was founded in July 2000 as Subor's third production line and second factory. It carries out production via the continuous Glass Fiber Winding Technique in the diameter range of 300-2500 mm, with the rigidity classes of 2500-5000-10000 N/m², and up to 32-atm pressure. Subor GAP Factory is a partnership of “Subor” by 80% and “Fernas” by 20%. Besides standard factory production, we possess the infrastructure to manufacture pipes for special applications as requested by the in the customer. SUBOR BORU SAN. VE TİC. A.Ş. Gaziantep E-24 Karayolu 35. km. © Subor Boru San. Ve Tic. A.Ş.